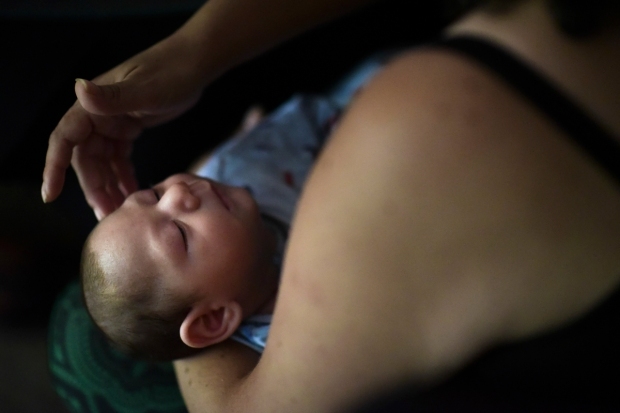 On Tuesdays, 18-month-old Joaquim Santos spends an hour sitting by himself in a corner of a special needs classroom in this small city in northeast Brazil, one of the country's poorest regions and one hit hard by the Zika virus. Two harried teachers look on as other toddlers play around Joaquim, who has severe developmental delays after being born with a small head. As limited as Joaquim is in the early education classroom, his family and doctors say he is lucky to be there. "When Joaquim was born I thought he was going to be in a vegetative state forever," said his mother, Maria de Fatima Santos, who must take the boy to therapy sessions and medical appointments most other days of the week. "I thought my life was going to be in a hospital." Three years ago, an outbreak of the Zika virus in Brazil's impoverished northeast led to thousands of babies being born with a birth defect called microcephaly. 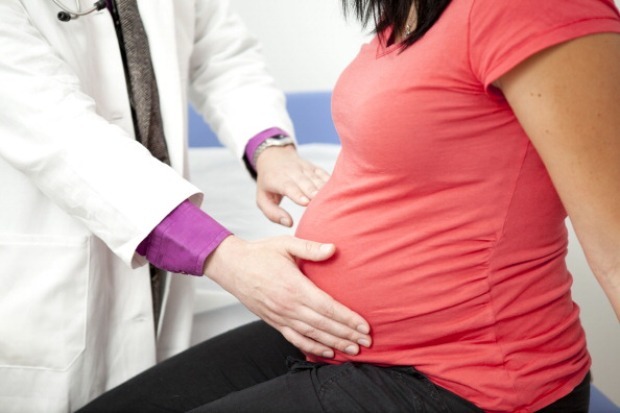 The virus is spread by mosquito, and scientists determined that it could lead to congenital defects in fetuses of mothers who were infected during pregnancy. Today, some of the children born during the outbreak are trying school for the first time — in very limited capacities — while others have died or are struggling to survive, hindered by health and developmental problems. Dr. Epitacio Rolim of the Getulio Vargas Hospital in Recife, where many children with Zika-related birth defects are treated, said there are still myriad unknowns. "How much they will learn or live, unfortunately, is a huge question mark," said Rolim, who during a recent afternoon spent hours injecting babies with Botox to ease muscle spasms. Beyond developmental delays, around 40 percent of the children with microcephaly treated at the hospital started showing new physical problems by the time they reached their first birthdays, including dislocated hips, which needed to be repaired surgically. "I only know of four who are walking," said Rolim. Birth defects in U.S. Zika-pregnancies are 20 times higher than before the Zika epidemic, according to the Centers for Disease Control. 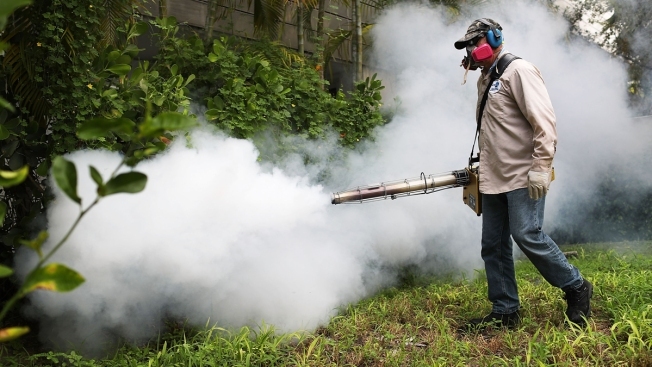 Zika began spreading in Latin America's largest nation in April 2015 and exploded in 2016, with more than 260,000 cases of virus that year, according to the Health Ministry. In 2015, there were 960 confirmed cases of microcephaly and just over 1,800 the next year, the majority in the northeast. Then, thanks to what scientists call "herd immunity" in hard-hit areas and public awareness campaigns, the number of cases of Zika and microcephaly plummeted. In 2017, there were fewer than 18,000 Zika cases and fewer than 300 children born with microcephaly. So far this year, Brazil has seen about 2,200 cases of Zika and 20 cases of microcephaly and other developmental abnormalities. For doctors, researchers and therapists, the Brazilian toddlers born with microcephaly a few years ago represent by far the largest pool in the world for them to observe and learn from. Seeing the children in school helps provide a window into the challenges children with microcephaly may face as they grow, but the institutions receiving them are often ill-equipped to meet their needs. Vaneide Campos, the principal where Joaquim attends school in Frei Miguelinho, a city of 13,000 in the Brazilian drylands, said she had to rejigger an already-tight budget to get a second special needs teacher. Joaquim has shown modest development. He can hold a pen and scribble on paper. He hears classmates recite letters of the alphabet, though he can't speak. He has also been included in school plays, all more than many other children with microcephaly. "We have had more goodwill than training here," Campos said. "We were not ready, but we knew we needed to offer a chance." Schools and daycares at the Zika epicenter face similar issues, with teachers and principals learning as they go. Jose Wesley Campos, who will be 3 years old in September, attends school in the city of Bonito, in the state of Pernambuco, two days a week. He and three other children with disabilities are in a room with 14 normally developing toddlers. "He was our first case with microcephaly. It was scary, and we didn't know what to do," said deputy principal Viviane Simon, who has worked at the school for 20 years. "But now we learn more from him than he learns from us." Still, because teachers are not equipped to provide nursing skills, Wesley's mother goes to class with him. "He needs double the attention," said Simon, explaining that Jose is fed through a tube and his mouth needs to be cleaned. Like many others, Jose must spend much of each week getting treatments in Recife, the state capital that is a few hours drive away. Dr. Liana Ventura, who runs the Altino Ventura Foundation in Recife, said more than 150 of the children with microcephaly getting treatment at the clinic are stable and healthy enough to be candidates for school. "But we can see schools are not prepared; they need caretakers that families can trust and materials geared toward inclusion," said Ventura, whose family helped found the clinic opened in 2014. Ventura also said there are 130 children waiting to get eye exams, glasses or other optical treatments, key for being able to attend school. But budget shortfalls have made it impossible to hire more doctors or buy supplies. For many children, going to school is out of the question. In the state of Pernambuco, 159 of the 2,513 children diagnosed with microcephaly have died, according to health figures. Paraiba, a neighboring state that was also hit hard, does not have current figures, but local specialists estimate that 10 percent of children born with microcephaly have died. Those numbers are much higher than Brazil's infant mortality rate, which was 14.4 deaths per 1,000 births in 2016, the most recent year available. Sophia Donario, one of the more recent cases of Zika-caused microcephaly, was only 5 months old when she passed away earlier this year. Yara da Costa says her daughter came down with pneumonia on a Monday evening. She took the baby to a local hospital in Lagoa Seca, a small poor city in the middle of Paraiba. She was then transferred to a hospital in Campina Grande, one of the state's largest cities. A bed couldn't be found for her in the intensive care unit until Wednesday. On April 1, Easter Sunday, she died. "Until then, she was doing very well. Some kids can't feed themselves, but she could. I could breastfeed her," Sophia's mother said through tears. A unique case of a mother who nearly three years ago gave birth to one normally developing twin and the other with Zika-caused microcephaly shows just how stark the differences can be. The boy, Edson Junior, runs around with the exuberant energy while his sister, Melissa Vitoria, born with microcephaly, has sight problems and stiff muscles that limit her movements. "It was a shock for me. I had no idea this was even possible" to have one healthy twin and the other with microcephaly, said mother Cassiana Severina, who lives in a home with crumbling walls on the outskirts of Recife. While Severina wants to send Junior to school, she has no such plans for his sister, who can't even sit up. "Everything she does is a victory with her, that's why I call her Melissa Vitoria (Victory in Portuguese)," said Severina. "Maybe one day she will win by going to school." Back in Frei Miguelinho, the mother of Joaquim, Maria de Fatima, says she is also hopeful. "I hope he gets a diploma one day," she said during a recent physical therapy session in Recife. "If I have a diploma earned by Joaquim to hang on my wall, any diploma, that is good enough for me."